Sponsored by Gone Klippin Krazy an AVON distributor and hosted by some Amazing Blogs!! AVON has some really fun Halloween Decorations and goodies this year!! Do you have an Avon Representative? Register HERE and shop the awesome deals! You can do your Avon shopping online and still experience the same great customer service with your Avon Representative. She is only an email or call away. The Avon Website offers fashion and beauty tips, customized skin care questionnaires and hot products. What do you get with Avon Products? Avon still offers the “Love It or Your Money Back Guarantee” to their customers. Avon is always aiming to please the wallets of those whose budgets may not be as big as some others, but still want to get quality for their purchases. Campaign 21 is Live now and boy there are some great deals. Check out the Campaign 21 ebrochure and the outlet brochures for all the great deals!! You can shop any of the items featured in this giveaway now!! Hurry limited availability on these novel items!! The cat’s eyes light up at the push of a button. 34″ W x 30 3/4″ L. Button-cell battery. Polyester. Imported. Color-changing LED lights. 20″ H x 11″ W. Uses three AAA batteries (not included). Metal. Imported. Sign stickers come in English, Spanish and French. Metal, glitter and plastic. 12″ H. Imported. Wear to scare! Press spider button and hat plays a creepy tune and moves to the music. 13″ H x 13 1/2″ diam. Uses three AA batteries (not included). Polyester. Imported. Enamel-look with goldtone. 3/4″ L. Pierced. Now for the giveaway, one winner will receive all 6 items mentioned above. Please use the rafflecopter below to enter and Good Luck!! This giveaway is open only to the continental United States residents only and must be at least 18 years of age. The winner will be chosen randomly. The winner will be notified by email and will have 24 hours to respond otherwise a new winner will be chosen. This event is in no way administered, sponsored, or endorsed by, or associated with, Facebook and/or Twitter, Google, Pinterest. (YOUR BLOG NAME) is not responsible for lost or damage prizes. I love dressing up my boys and heading out for trick or treat. My favorite is seeing my granddaughters in costume. Dressing up my daughter in her costume. Watching my kids excitement over their costumes. Seeing all the kids in their costumes! I love seeing the costumes. carving pumpkins and hot apple cider! My favorite part of Halloween is watching all the Trick or Treaters! Favorite part is dressing the kids up and taking them trick or treating! 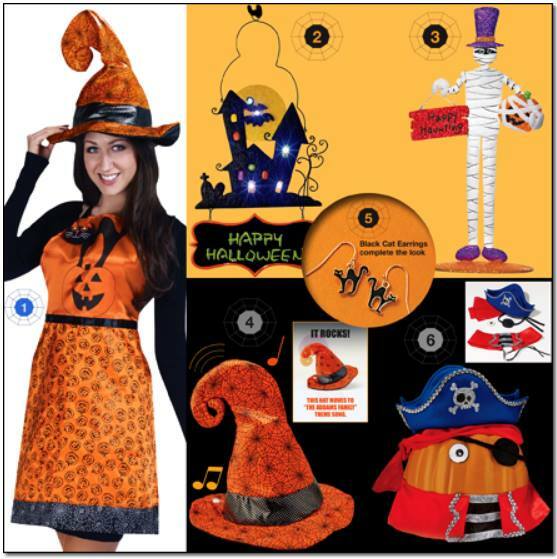 I am always surprised to see the things Avon sells, lol – These are some great items, I love Halloween! watching all my horror dvds again! I love seeing my boys faces light up when they get all their candy.I also love dressing up as a family and going out Trick or Treating together.Spending time together As a family is the best part ever:)Thank you so much for the chance!!! I like looking at the little kids that come to the door all dressed up. Admiring all the creative costumes. Excited little kids in adorable costumes makes me mile. I love seeing the children all dressed up with their eyes lit up and having a great time. Watching scary movies all day/night. I love seeing all the awesome costumes people come up with. And the candy of course! I love taking the kids trick-or-treating. They have so much fun. Then my husband and I have to “test” the candy when we get home. My favorite part is decorating my house and the candy. I also enjoy the trick or treaters and looking at all the different costumes that come to the door. I love the home made chilli and grilled cheese my mother makes and the family gathers to watch scary movies after trick or treating. I love all of the decorations. I also love dressing up and of course, the candy!!! I love dressing up my kids, thats my favorite part. Dressing up the kids & watching how excited they get while trick-or-treating! I love seeing all the little kids in their costumes. Taking my kids Trick Or Treating! I wasn’t allowed to go when I was growing up so I get just as excited as they do! I just love seeing my kids get excited about getting big candy bars when trick or treating. It’s like they have never seen one before. Also, helping them pick out their costumes. I like all the great scary movies that they show on some channels on TV, and the neat Halloween decorations too. Getting the leftover candy my kids didn’t like. I love coming up with a costume. Seeing the little ones in their costumes. I love dressing up in costumes, each year I make costumes for myself, my children & my grandchildren so we are dressed in theme. The costumes I love to dress up and help others dress up! My favorite part of Halloween is taking young kids “Trick or Treating”. It’s so much fun to watch them. I love decorating for Halloween. It’s the best part. and seeing all the cute costumes. My favorite part of Halloween is decorating and watching the kids come to the house and seeing how excited they get. Decorating and getting the kids ready and taking them trick or treating. Their facial expressions are great to see as they see other scary stuff. Children coming to my door in costumes is my favorite part of Halloween. I love everything about Halloween. The best part may be that it takes place in my favorite season, which makes Halloween, like Christmas a “feeling”. I don’t know how to explain it any better. I like the planning of what the kids are going to be and then seeing them all ready to go! My favorite is decorating the house for Halloween. I love everything about Halloween, it’s my favorite holiday! I like to dress up because I give the candy out. But I love Haunted Houses too.